The best way to get to know a community is by scheduling a tour. See the facilities, meet the staff and residents, and get a feel first hand what it's like to live at Meadow View Assisted Living. 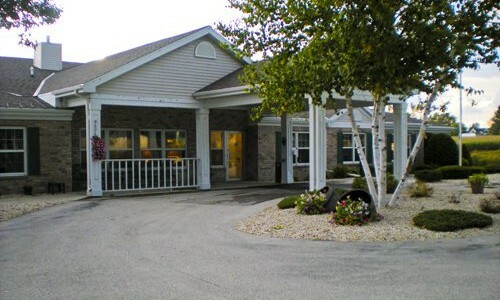 Providing excellent services for Two Rivers area seniors, Meadow View is an inviting and warm senior living community. As a provider of both assisted living and memory care, we are well equipped to ensure that each of our residents receives the supportive services they need while remaining as independent as possible. Meadow View is operated by the Ensign Group. At our communities we provide seniors a broad spectrum of services, from skilled nursing to assisted living services and rehabilitative services. During their stay at our community, residents are provided with ample opportunity to keep both their minds and bodies active. Our Activities Coordinator regularly schedules events and activities that include exercise classes, ice cream socials, field trips to area attractions and more. We offer accommodations in a selection of private arrangements, each equipped with its own private bath and emergency call system for added peace of mind. Daily meals are enjoyed in our community dining room. Residents can always receive individualized meal plans to meet special dietary requirements, and menu options include a range of delicious dishes. To help ensure that time spent here at Meadow View is as relaxing and enjoyable as possible, we provide routine housekeeping and linen services for all residences. Scheduled transportation is also available for going shopping or reaching medical appointments. When a resident needs a helping hand, dedicated Resident Assistants are available around the clock. Assistive services can include help with dressing, personal hygiene, medication management and other activities of daily living. Nursing staff are on site full time, and residents receive regular health assessments. Meadow View provides an excellent range of services and amenities for local seniors.